We have everything you really need to keep fit and healthy in our Gym and Spa. Welcome to a heaven of relaxation where both body and soul are nourished in complete serenity. In calm, personalized settings, effective relaxation techniques are applied to massages and body care treatments-all in a tranquil environment of gentle aromas and fragrances. Many of our treatments fuse the local botanical resources with the traditional, spiritual and physical healing arts. Executive Packages are effective for relieving stress, combating insomnia, relieving mental fatigue, and easing muscular and joint pain. 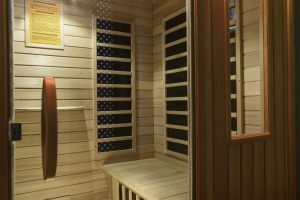 Let skin pores open up in the sauna and prepare your body for the ultimate pampering that follows. Smoothness, suppleness and body energy are restored with the application of our luxury products. Appeal to every person, and satisfy the most demanding guests. Access to Indoor Swimming Pool and Indoor Jacuzzi is free of charge.